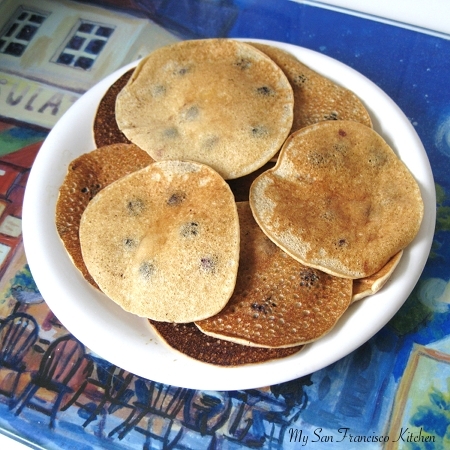 These blueberry pancakes are made with 50% whole wheat flour and applesauce for some of the butter for a healthier breakfast. I like to make smaller ones and top them with blueberries and powdered sugar. 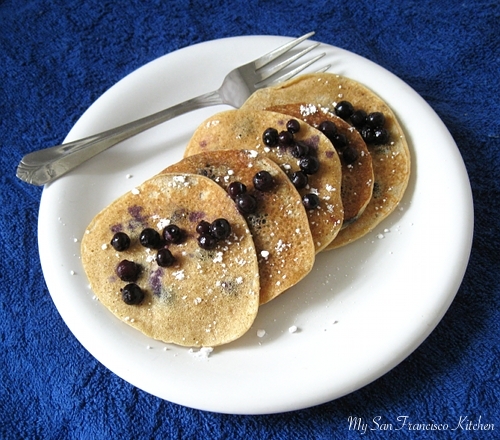 I don’t even need syrup with these because the blueberries already give them so much flavor. You may be wondering by now if I have fallen of the Earth or something. In my previous post, I mentioned I am now on Spring break, so technically I should be baking up a storm in the kitchen and laying out in the sun when I’m now. One thing has stood in the way: WEDDING PLANNING! If any of you have planned a wedding, you know it is insane how many things need to be done. So far in the last 3 days, I have: found my wedding dress & veil, spent 4 hours looking at flowers for bouquets and arrangements, bought my garter, went to one cake tasting (going to another today and hoping they won’t charge $700 like the one yesterday…! ), and figured out favors. Basically, no time for the kitchen. At least the weather in LA has been really cloudy and cold so I don’t feel bad about missing out on any sunny weather. 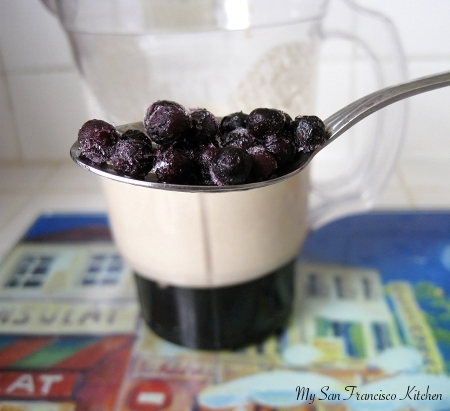 Add all ingredients except blueberries to a blender and blend together, or whisk by hand. 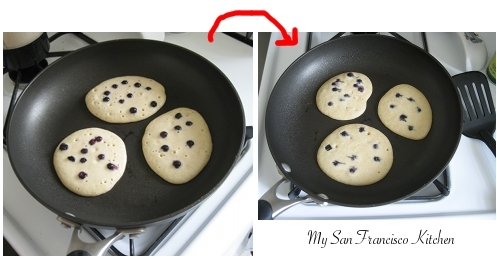 Spray skillet with cooking spray and pour batter in a circle motion to form 3 small pancakes on the skillet. Drop a few blueberries on top, and gently submerge into batter using a spatula. Wait until holes form and then flip over for 30 seconds. Serve with butter, powdered sugar, and blueberries on top. This entry was posted in American, Breakfast and tagged applesauce, blueberries, fruit, whole wheat. Where is mickey? JK– these look delicious! Love the apple sauce substitution! Your pancakes look fantastic! I planned my wedding in two weeks. It was a rush wedding, why I don’t know? We got married in Lake Tahoe over Emerald Bay Point. I found my dress and all the accessories in one day and did the rest online. It was perfect!! When are you getting married? Oh wow!! I thought A few months in advance was stressful with all of this planning. Sounds beautiful though, I loveee Tahoe. We are getting married in Palmdale, where I grew up (socal).